I’ve been too busy this summer to give the blog the attention it deserves- I still have several posts in the works from our fantastic trip to Paris. I’ll get to them, I promise. But so far, I’ve been otherwise engaged. 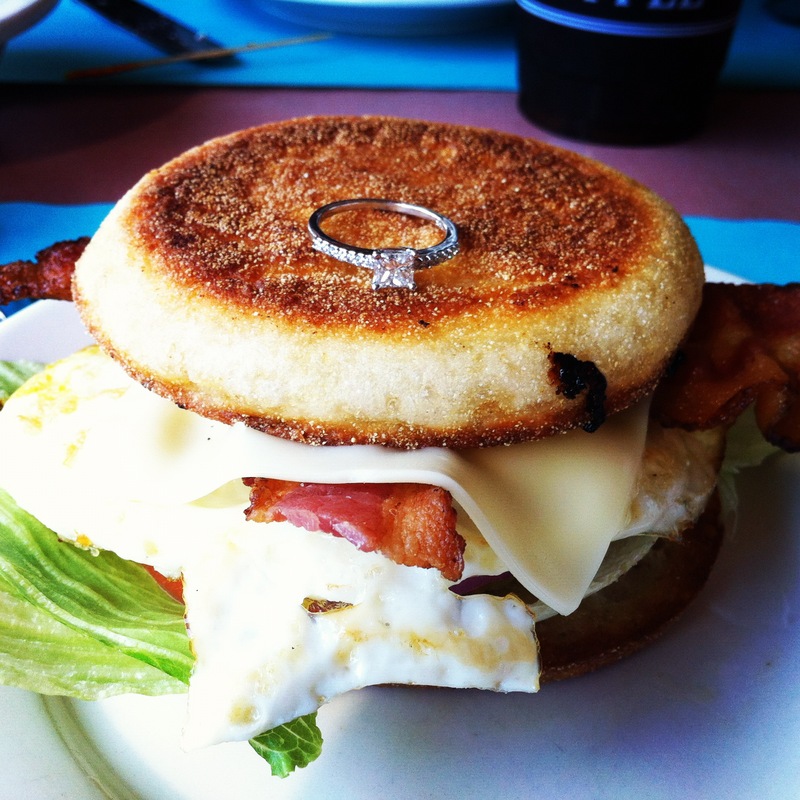 breakfast at Kelly’s Diner, and my engagement ring. We are so happy to share in the joy of this special time!